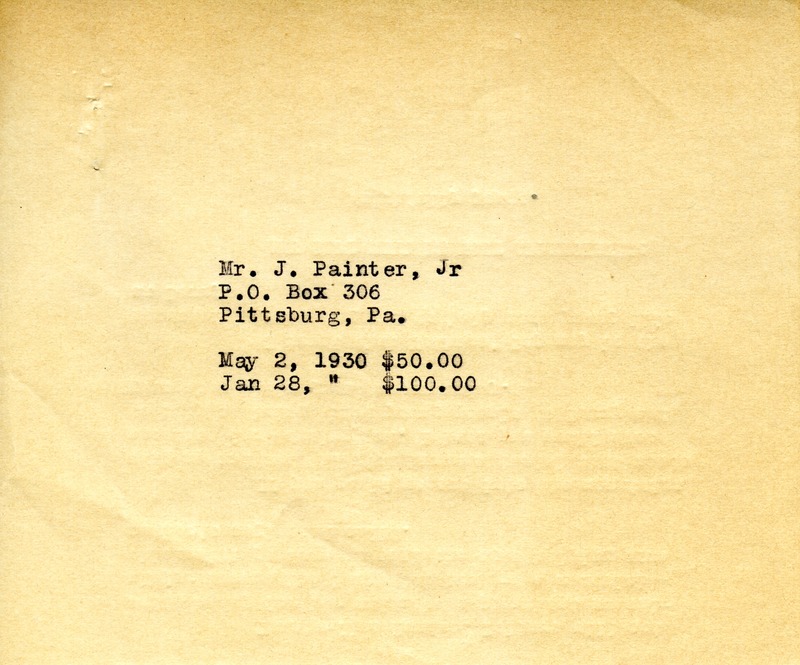 This is a donation receipt for fifty and one hundred dollars on two seperate occasions from Mr. J. Painter Jr.
Mr. J. Painter Jr., “Donation Receipt.” Martha Berry Digital Archive. Eds. Schlitz, Stephanie A., Jordan Brannen, Chelsea Risley, et al. Mount Berry: Berry College, 2014. accessed April 22, 2019, https://mbda.berry.edu/items/show/13643.